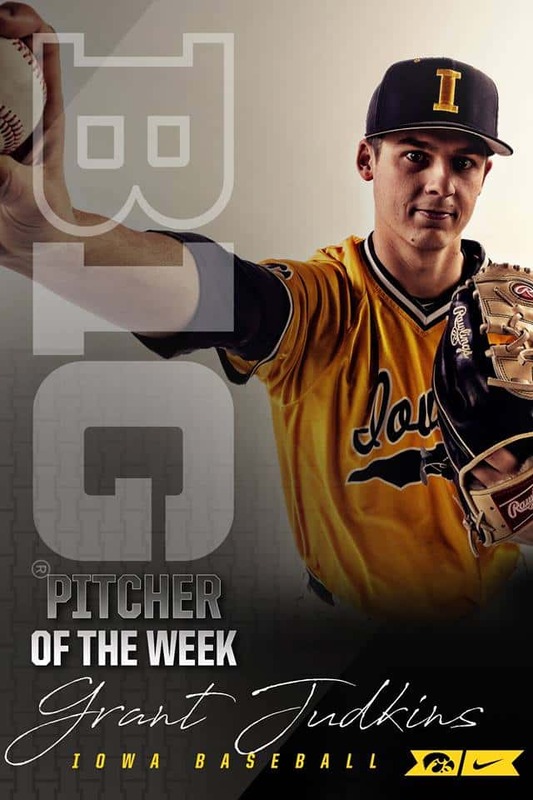 A Pella baseball alumnus has started 2019 in near perfect fashion at the collegiate level, earning Big Ten Pitcher of the Week Honors. Grant Judkins, now a Junior at the University of Iowa, pitched six no-hit innings and struck out 11 batters in his season debut against Marshall Sunday. Judkins was also tabbed Collegiate Baseball National Player of the Week powered by Diamond Sports. Grant graduated from Pella High School in 2016, when he was named Gatorade Player of the Year in Iowa and the Iowa High School Baseball Coaches Association Player of the Year. Judkins led Pella to two straight state tournament semifinals as a batter and hitter, racking up 99 career extra base hits with a career average of .431 and sporting a career 1.34 ERA with 337 strikeouts and 240 ⅔ innings as a four-year starter for the Little Dutch.